Provide comfort for the family of Julia Patrick with a meaningful gesture of sympathy. Julia Elizabeth Patrick, affectionately known as Judy, daughter of Sarah Taylor, was born on September 1, 1941 in Wilmington, DE. She peacefully departed this life on Tuesday January 22, 2019 surrounded by family and loved ones. Julia received her early education within Delaware public schools. She was a dedicated employee with Jeanne Jugan Residence (Little Sisters of the Poor) for over 20 years, as a Dietary Aide. After retirement, Judy worked part-time as a cafeteria aide with Colonial School District where she enjoyed serving children and was lovingly nicknamed “Mom-Mom” by her grandchildrens’ friends. She also enjoyed selling Avon products within the community and was known to many as the “Avon Lady”. She spent her free time socializing with friends at the Delaware City Senior Center. Judy was a member of the “Chocolate Divas Social Group”, which consisted of family members and close friends. Judy loved shopping, traveling, journaling, going to the casino, spending time with her grandchildren, enjoyed crossword puzzles, watching the Eagles, gardening flowers and writing poetry. 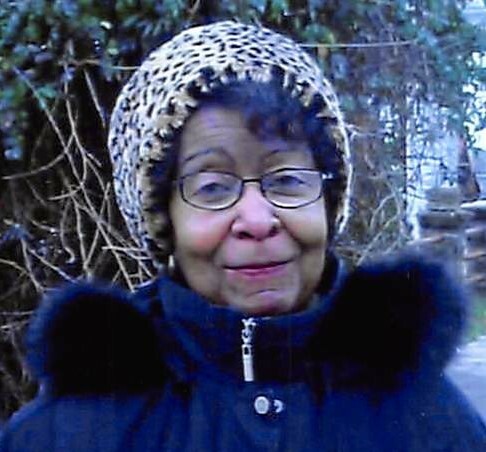 She was an active and dedicated member of Mount Salem U.A.M.E Church in Delaware City, Delaware, holding various positions: Adult Sunday school teacher and class leader, finance committee, and Usher. Julia was preceded in death by her husband of 56 years, Willie Lee Patrick, Sr.
Julia leaves to cherish 4 children: Melissa Britton-Patrick (Bruce), Anita Patrick, Willie Patrick, Jr. (Edwina) and Rhonda Patrick; Step-son, Willie “Billy” Black (Yvonne), Grandchildren: Cheri Mosely (Troy), Karin Neal (Robert), A’sian Rochester, Alissa Rochester, Zachary Patrick, Charles Patrick, and Sabrina Nyandiba; 8 great-grandchildren; long-time buddy Mrs. Shirley Wright, devoted family members: George Taylor III, Bob and Ruthann “Nippy” Little; and a host of other family and friends. To send flowers to the family of Julia E Patrick, please visit our Heartfelt Sympathies Store. We encourage you to share any memorable photos or stories about Julia. All tributes placed on and purchased through this memorial website will remain on in perpetuity for generations. Provide comfort for the family of Julia E Patrick by sending flowers.